number of important health and behavioral benefits. In addition to controlling the unwanted animal population, dog spay and neuter services also reduce some forms of aggressive behavior as well as the risk for life-threatening cancers, such as breast cancer. 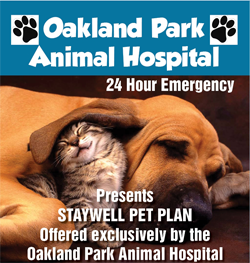 At Oakland Park Animal Hospital, we recognize that the decision to spay or neuter a pet is a personal choice. While we respect every decision, we strongly encourage pet owners to spay and neuter their dogs. Dog spay and neuter health benefits are most significant when these procedures are performed before the first heat. Spaying a dog before six months of age significantly reduces the risk for breast cancer, as well as uterine infections. Additionally, spaying a female dog can counteract many unwanted behaviors. A female dog that is in heat will do anything possible to attract a mate, including urinating in the house and howling loudly at night. Spaying a female eliminates these unwanted behaviors and helps a female dog focus her attention on the family. Neutering dogs offers similar health benefits. Neutered males are not at risk for testicular cancer, which can be deadly among dogs. Just like spayed dogs, neutered dogs will also focus their attention on the family, rather than attempting to find a mate. Un-neutered dogs can be aggressive and difficult to manage. They may be resistant to authority, spray the house with urine to mark their territory, and even try to escape to find a mate. Neutering a male will not change his personality; it will simply direct his attention back to the family rather than mating. For maximum health benefits, our veterinarian recommends dog spay and neuter before six months of age. Spay and neuter procedures are routine with limited recovery time. While pet owners are advised to keep their pets calm in the days following a procedure, within a week pets will be active and ready to play. There is very little downtime or risk associated with a dog spay and neuter service. On the flipside, the benefits are numerous. These benefits include a reduced risk for illness and cancer, as well as improved behavior and better overall heath. 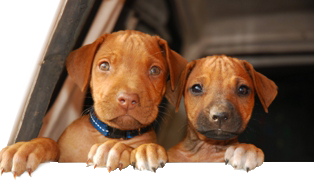 Spaying and neutering dogs is also important to reducing the unwanted animal population. Sadly, millions of dogs each year are euthanized in shelters. Unfortunately, there are a limited number of families that can adopt pets. Consequently, even if you find a home for your pet’s offspring, you may be taking away a home that could go to a shelter animal in need. If you are trying to decide whether to spay or neuter your pet, our veterinarian is happy to answer any questions that you may have about this procedure. 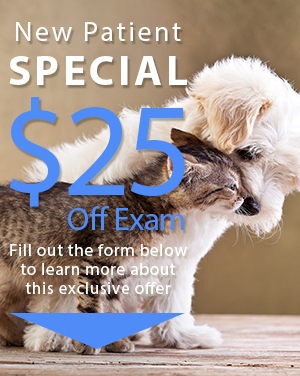 Contact Oakland Park Animal Hospital to learn more!